There are a number of small tasks that homeowners can handle on their own. Unclogging drains and draining hot water heaters are just two of these. However, when it comes to larger tasks, like repairing broken pipes, installing faucets and toilets, and tackling tough drain clogs, it’s time to call a plumber. If you’ve attempted to fix the problem, only to find that you’ve made it worse, tell the plumbing company over the phone when you schedule your appointment. This way, the plumber will know about it ahead of time, and will know what to expect. If you’ve complicated the problem, you will probably have to pay more to fix it, since the plumber will need to undo your work first. 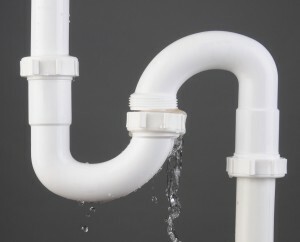 A mess ensures anytime that old pipes or fixtures are removed. There’s no way around this, since the sediment that built in them over time will come out the second the pipes are tipped over. Water might spill out and onto the floor, and if you’re dealing with a clog, it may not be the cleanest water in the world. Don’t panic. A good plumbing company will have their plumbers clean up after themselves. 4. Stay Out of The Way! Plumbers know what they’re doing, and have all of the tools necessary to complete the job. If you’re standing there supervising, you might get in the way and complicate the process.